On 6th July, 2015 a Pool Lunch was organized in the college premises. This initiative is taken to make the team relax and energize. All the faculty members and staff members brought various preparations from their home. Before starting with the pool lunch, delicious breakfast was served followed by various games played like cricket, kho-kho etc. All the members initiated and participated in these games and made it successful. After which everyone gathered in a hall where the lunch was served. The celebration started with cake cutting ceremony by P. C. Jain Sir. After this everyone started with lunch. Just after lunch all the members played tambola. The winners were given exciting prize. Finally the day ended with loads of fun and entertainment. The Sunday morning came up with great excitement as we were going to play a cricket match! The excitement was supported by equally supporting weather. There was a match between Pioneer Convent and Pioneer Institute of Professional Studies. The match was played on July 12, 2015 at the Pioneer Cricket ground. Everybody gathered at the Venue at 9:00 AM. Dr. Mona Tawar graced the occasion with her presence. The team members of Pioneer Convent were Mrs. Rashmi Harkarni, Mrs. Prachi Bisht, Mrs. Noopur Baxi, Mrs. Shailee Joshi, Mrs. Archana Choudhary, Ms. Adeeba Qureshi, Dr. Prashant Jain, Mr. Kranti Patle, Mr. Kapil Sharma, Mr. Anil Jadhav, Mr. Chandrabhan Yadav, Mr. Mayank Chawand, headed by Mrs. Shailee Joshi as team captain. The Pioneer Convent team put up a defendable score of 59 Runs at the loss of 8 wickets. 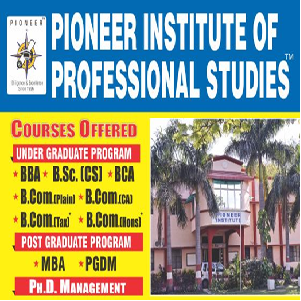 The members of team Pioneer Institute of Professional Studies were Mr. Varun Keshari, Mr. Praveen Tiwari, Mr. Radheshyam Acholiya, Mr. Ketan Mulchandani, Ms. Suchi Mody, Ms. Aditi Bhawsar, Mr. Rakesh Yadav, Ms. Rashmi Sinha, Ms. Anju Suryavanshi, Mr. Rajendra Suryavanshi, Ms. Archana Trivedi, Mr. Sumit Agle, Mr. Sharif Khan and Mr. Dharmendra Yadav who prepared the ground well. This team was headed by Mr. Varun Keshri as team captain. Now it was time for Pioneer Institute to play. All the team members played very well and made the match very exciting and worth watching. The crucial moment arrived when at the last ball 6 Runs were required. But finally team Pioneer Convent with their excellent teamwork managed to won the match. Saturday 15th August 2015. Pioneer Institute of Professional Studies celebrated 69th Independence Day witnessed by students, faculty members, parents and senior citizen clubs. Dr. P N Mishra (Director IMS, DAVV Indore) Chief Guest with his gracious presence hosted the Indian tricolor and enlightened the young minds. Audience was filled with a zeal and enthusiasm to express the feeling of unity and secularism as they participate in the celebration. P C Jain, Group Chairman motivated students by sharing the volume of stories of freedom fighters. Dr. P K Jain, Chairman of the institute highlighted the value system and importance of a role model in life to achieve heights. A documentary on ‘the missile man’ Late Dr. APJ Abdul Kalam was shown to students about the launch of “Agni”. Students and Faculty members of the institute encompassed a vibrant display of struggle for freedom by the unsung heroes of the battle. A Sahaj Yoga session was conducted for students on Friday, the 4th September 2015. The day began with learning the technique of relieving stress. A team from Sahaj Yog Kendra and Ms. Chetna Jain in particular taught the students how to meditate through very simple procedure. She said Sahaja Yoga is a method of meditation which brings a breakthrough in the evolution of human awareness. It was created by Shri Mataji Nirmala Devi in 1970 and has since spread all around the world. It was explained that It is okay if you miss meditation in the morning but be flexible with your time and be sure that you have 10 -15 minutes daily for meditation. As soon as you sit for meditation; make yourself aware that you are meditating. Put your pure attention on the top of your head (lymbic area) and then watch yourself in complete silence. She said that through the practice of Sahaja Yoga, our awareness gains a new dimension where absolute truth can be felt tangibly - on our central nervous system. As a result of this happening, our spiritual ascent takes place effortlessly and physical, mental and emotional balances are achieved as a byproduct of this growth of our awareness. Sahaja Yoga has a beneficial impact on every aspect of a person's life - that is mental, physical, material, emotional and spiritual life. A rejuvenated human being finds unknown depths of energy and creativity to better his living conditions; and to lead a more meaningful life. The practice of Sahaja Yoga makes a person calm and collected and able to cope more easily and effectively with the strains and stresses of life. They also explained the importance of Yoga and Meditation in student life. When it comes to eating, we have strong habits. Some are good ("I always eat breakfast"), and some are not so good ("I always clean my plate"). Although many of our eating habits were established during childhood, it doesn't mean it's too late to change them. A session on the right kind of food habits was taken by Shri Vishwas Sharma, who explain about the different food habits that should be developed to remain healthy and disease free on Friday, the 4th September. He explained that Making sudden, radical changes to eating habits such as eating nothing but cabbage soup, can lead to short term weight loss. However, such radical changes are neither healthy nor a good idea, and won't be successful in the long run. Permanently improving your eating habits requires a thoughtful approach in which you Reflect, Replace, and Reinforce. He also suggested creating a list of your eating habits. Keeping a food diary for a few days, in which you write down everything you eat and the time of day you ate it, will help you uncover your habits. For example, you might discover that you always seek a sweet snack to get you through the mid-afternoon energy slump. It's good to note how you were feeling when you decided to eat, especially if you were eating when not hungry. Were you tired? Stressed out? He highlighted the habits that may be lead to overeat. On September 4, 2015 Pioneer Institute organized a very honored teacher was paid a tribute, on the very special occasion of teacher’s day, Late Dr. APJ Abdul Kalam gathering, where all the faculties, staff and students remembered him in their own special ways. The program was started by Dr. P. K. Jain, the Principal & Chairman of Pioneer Institute by lighting diya and offering flowers and simultaneously by all the faculty members. Continuing in the sequence the students from Pioneer Convent gave tribute by their song. Dr. Jain then paid a tribute by his speech and ended with a wonderful quote: "All birds find shelter during a rain, but eagle avoids rain by flying above the clouds", By: Dr. A P J Abdul Kalam. Dr. Mona Tawar, the director of Pioneer Institute continued to pay the homage by her inspiring words and stressed to compulsorily have an ideal in our life. Her speech was followed by the speech of Shri V G Banpurkar, a senior staff member of Pioneer Institute. A speech was then delivered by Jitesh Dubey, a student of MBA III semester, on the achievements of Dr. Kalam, he also focused on the ways in which he became a great researcher. Pratha Trivedi from B.Sc V semester also threw light on the life of Dr. Kalam by remembering his famous words. Ms. Shweta Mogre started the Teachers Day program with her inspiring Speech. The program was concluded with a dance by Shekhar Solanki of BCA I semester. The entire program was convened by Pratha Trivedi, and coordinated by Mr. Varun Keshari, Ms. Rashmi Badjatya, Ms. Kumkum Modak and Ms. Avni Trivedi. The acts performed by the students were stupendous and their hunger to develop the nation was clearly seen in their speeches. Patriotic songs and dances made audience feel the importance of freedom and at the same time they were mesmerized by the message given by musical act.